Keep the little one's busy with one of their favourite pastimes - Building Lego Blocks! Beanbag "Chill Zone" with shaded area, bean bags, artificial lawn & giant Lego blocks. Each child also receives their very own take-home building blocks gift set! We will setup the entire Lego Party for you and collect afterwards. You also get to keep the Lego tables for your entire party, not only for an hour like most other suppliers. 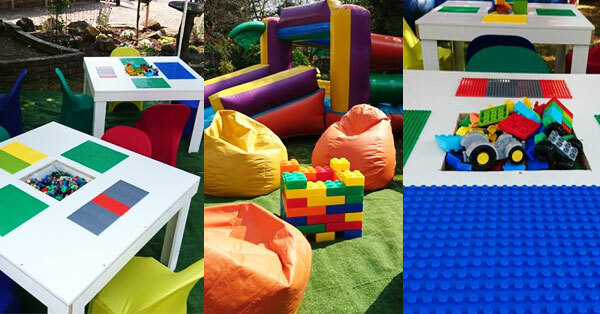 Our Lego Parties are currently on offer in Gauteng and surrounding areas. 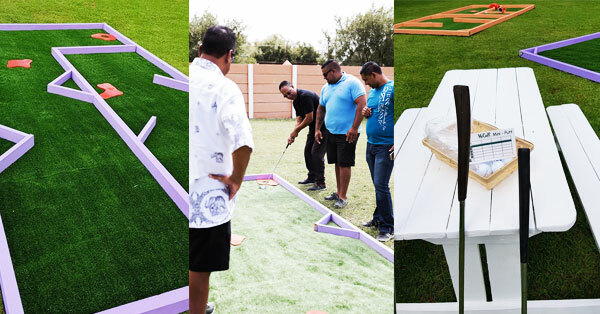 Our Mobile Putt-Putt Parties are a great addition to our Lego parties. It gives the little ones a chance to take a break from the Lego building and get a little exercise in a fun environment. And of course, it also gives the parents something to do while the little ones are having fun at the Lego tables ! A huge favourite with all of the kids are our X-Box Gaming Parties ! This is perfect if your little one has friends sleeping over after the birthday party. 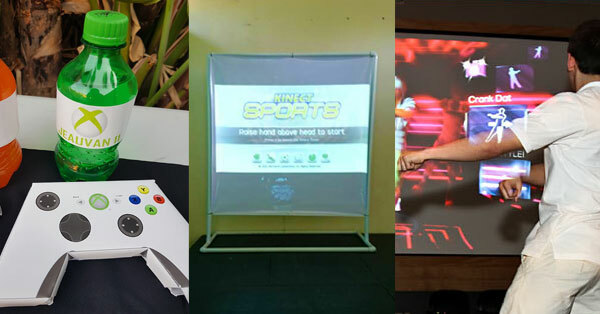 We setup a massive 3x3m outdoor or 2.5x2m indoor screen for them, with a sound system and X-Box Kinect gaming station. It also comes with a huge selection of games suitable for all ages. Please contact us for pricing on options on our X-Box Gaming Parties. Apart from the above mentioned add-ons to our Lego Parties, you can view our full range of Kiddies Party Entertainment by clicking on the menu link on our website. If you have any questions about our Lego parties or want more information and pricing, please follow the link below and complete our short online enquiry form.